Every one of us wants to list our websites in top of Google ranking. For that, we are ready to use different techniques in SEO. Some folks are even ready to use black hat techniques for listing their pages. To avoid this Google is changing their algorithm in every year. So as expected Google will update their algorithm in 2019 along with that the facade of SERP will transform in the influence of Artificial Intelligence, Machine learning, Big data etc. It also gets affected by a change in user behavior like micro-moments, mobile search, voice search, search intent. Website operators are worried that this could drastically change their optimization strategy. 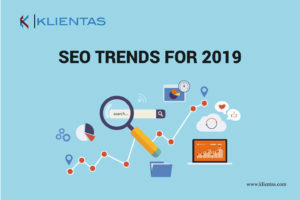 For this reason, here we are going to discuss some useful SEO techniques for 2019. According to Google surveys by 2020, 50% of the queries will in the form of voice searches. So optimizing your website for voice search is a good tactic to list your website in the top. You can optimize sites for local vocal search and conversational keywords. Learn to use with artificial intelligence and machine learning algorithms that will also benefit you in this phase. for indexing and ranking. This is mainly due to the increase in the number of smartphone users. In this scenario, you should optimize your site for mobile phones by reducing loading time and using AMP. You can even verify proper function of structured data in mobile as well as in desktop. Avoid using duplicate content and try to create unique informative content. This automatically helps you to get in top SERP Rankings. You should avoid using keyword stuffing instead of that use long tail and specific keywords. Content Clustering is a technique in which a unique content is used as a pillar. From this pillar, you have to create other contents required on your website. The pillar piece links to the cluster pieces and the cluster content links back to the pillar piece. This will increase traffic on your website. Block Chain will enter into the scenario by 2019 or 2020. Now Google acts as a middleman between the website owner and advertisers. Through the Blockchain role of Google get reduces and transactions between owners and advertisers become smoother in search marketing. The user can effectively use blockchain technology for avoiding unwanted profit cuts. Along with it, you can add blockchain in search algorithms to verify products accordingly legitimate sellers will get listed in high SERP rankings. Klientas is an end to end branding and marketing organization providing expert services on social media management and search engine optimization. Talk to our team and let’s plan your 2019 SEO strategies together.